The Ersari were one of eight or so different tribes of the Turkmen people who inhabited the area that is now part of the independent states of Turkestan and Uzbekistan as well as northern Afghanistan. 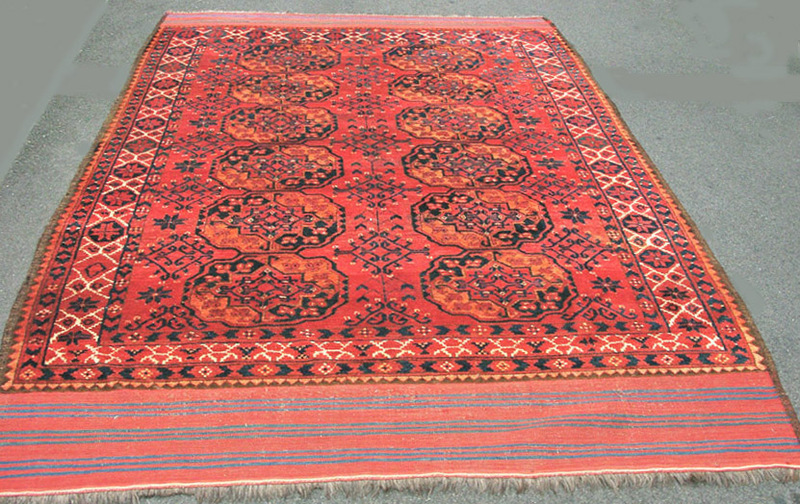 In the 19th century there were seven or eight different Turkmen tribes who used the ‘gul’ as a kind of totem particularly in their main tent carpets. This beautiful carpet belongs to an somewhat earlier group of weavings with the composition comprising just two rows of quite large lobed 'guls' and lots of ivory used in the border.